Gemstone jewelry, artisan made with natural gemstones. Hand crocheted necklace. Home > Amazonite Jewelry > Amazonite Necklaces > Unique Hand Made Jewelry.Natural Gemstone Necklace. Unique Hand Made Jewelry.Natural Gemstone Necklace. 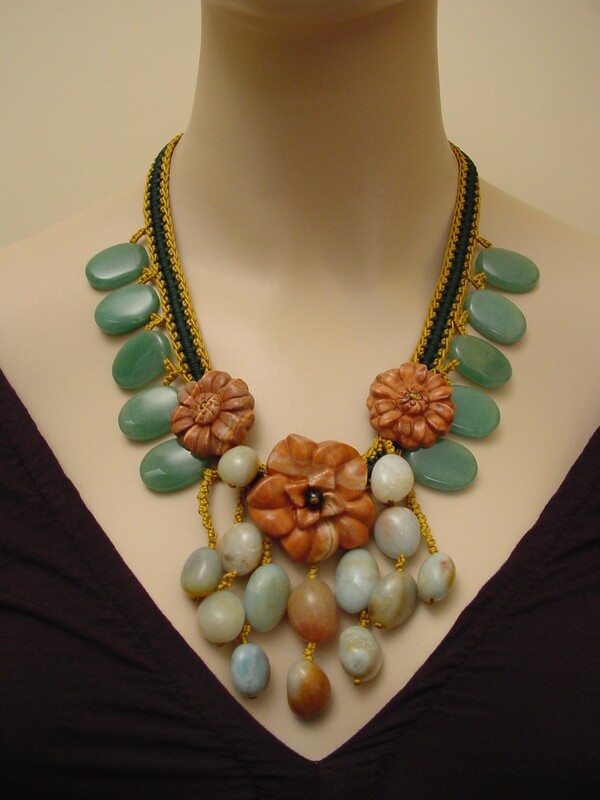 Beautiful unique necklace, created with Aventurine, Amazonite beads and Red Malachite flowers. Every flower is hand carved out of one piece of stone with the best pattern-color combination. The necklace would make a perfect gift for any occasion. You will receive the same piece as pictured. Queen Picture Jasper Necklace - Agate and Red Malachite Gemstone Jewelry.